We Choose Virtues. A review. A few months ago I wrote about establishing family “rules” and I wish I could say I have been a rock star about making them a daily part of our language or even giving them a visual place in our home but I haven’t. Boo on me. BUT Heather from We Choose Virtues was kind enough to send me a sampling of their products to help my family with the process. We received the virtue flashcards with scripture verse. Each flashcard is for the purpose of teaching a specific virtue such as honesty. The flashcard comes with a key phrase, a scripture verse, a cartoon character to help give your kids something to connect with and family activity ideas. 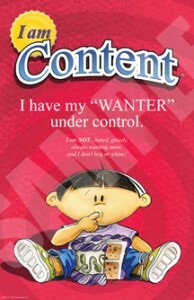 While I didn’t use all the cards (simply because my kids are younger) we did have fun with the cards on honesty, contentment, helpfulness, patience, obedience, and gentleness. The kids were attracted to the size of the cards, the colors, and the graphics. It was nice they liked to play with them which meant I didn’t have to force “virtue” time. If you are searching for a tool to reinforce godly character in your kids this is an easy to use resource. You can get a look at all their products and learn more about Heather at their site We Choose Virtues. Check out their facebook page too! They have a 20% off discount code going on right now. Free Printable September To-Do List: Click Here.